Snowfall Effect is the app for making it snowfall in your store. 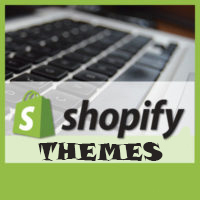 Snowfall Effect will never ask you to edit template files, or configure your Shopify template files. It is free. Snow Flake allows you to add a “falling snow” effect to your Shopify store with no coding required! You can show the effect as a snow flake or a dot if you want to. With one-click installation, anyone can install without any coding required, with its mouse sensitive motion, it doesnt put any effect on your websites loading. “Rain and Snow Effects by SolverCircle” is a shopify app that allows store owner to set Snow, Rain or other Effects in collection and/or any product page of shopify store. With Snowify App you can add a Snow animation to your site, quickly and easily. You can choose from 3 different snow speeds, you can choose if it only snows in the header and footer, or also on product images, and if you want it on your homepage only, all pages or specific sections of your website.